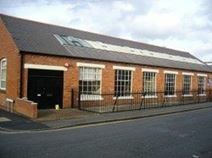 This ex-hosiery factory has been converted into distinctive office accommodation, just moments from Hinckley town centre. The offices all benefit from the comforts and conveniences of a modern workplace, meeting facilities and car parking. The location is just minutes’ from the ring road and the M69. This former factory has been converted into good quality office accommodation with a very central location for travel around the UK. The offices come with carpets and blinds and the centre includes conference facilities. The location is convenient for access to the M1 and M69 and there are town centre amenities just a few minutes’ walk away. This modern office conversion is based in what was once a hosiery factory and provides all that a highly functional office requires. The site is near to the railway station and local amenities as well as being well placed for travel by road. 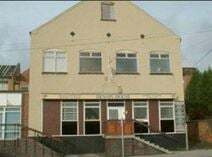 The centre is well established and provides an excellent working atmosphere. Recently refurbished to a high standard and sophisticatedly decorated, these offices are available in various size and can be tailored according to tenat's needs. The office spaces benefit from advanced heating system, kitchen and parking facilities. 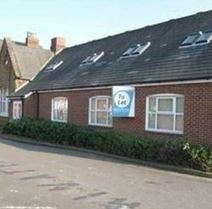 Located in proximity of the railway station, they are set within walking distance of Hinckley city centre. Situated in Hinckley town centre, these offices offer comfortable and convenient accommodation in a distinctive building. All the local shops, eateries and such are just a few minutes’ walk away and the train station is just 10 minutes’ on foot. Road links are also good with the M69 close by and links to the M1 for London. Offered unfurnished and on flexible terms, each office unit has its own external door and share of the on-site car park.